The sprouts you see in the top tier of the sprouting container (and the ones I am using here) are radish sprouts… the ones below are lentil sprouts. 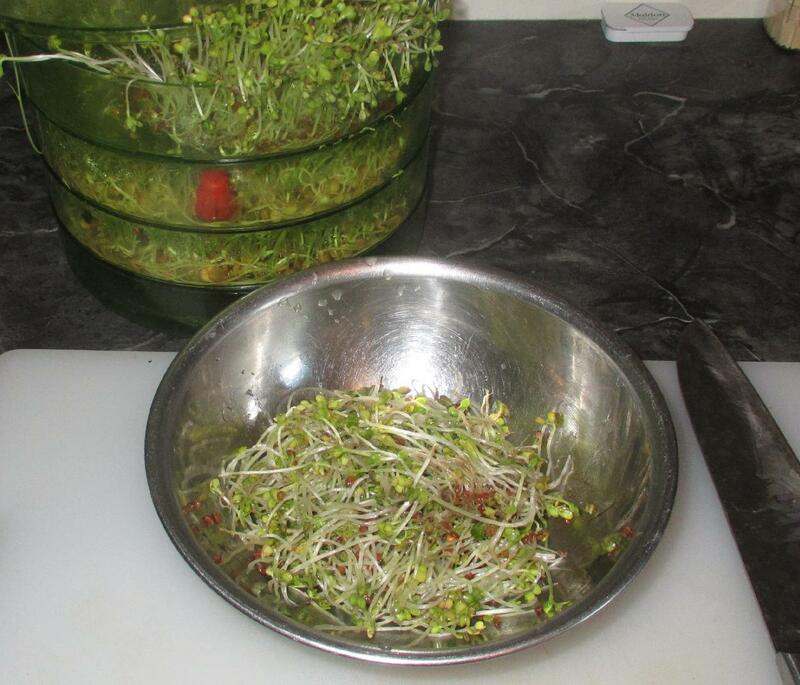 The radish sprouts have a lovely fresh taste along with the sharp bite of the small red radishes used in salads. They make the same sort of complement to beef as does horseradish or mustard, and thus are perfect here. I tossed the sprouts with just a little Garlic Oil (about a teaspoon or so) and let them sit briefly. 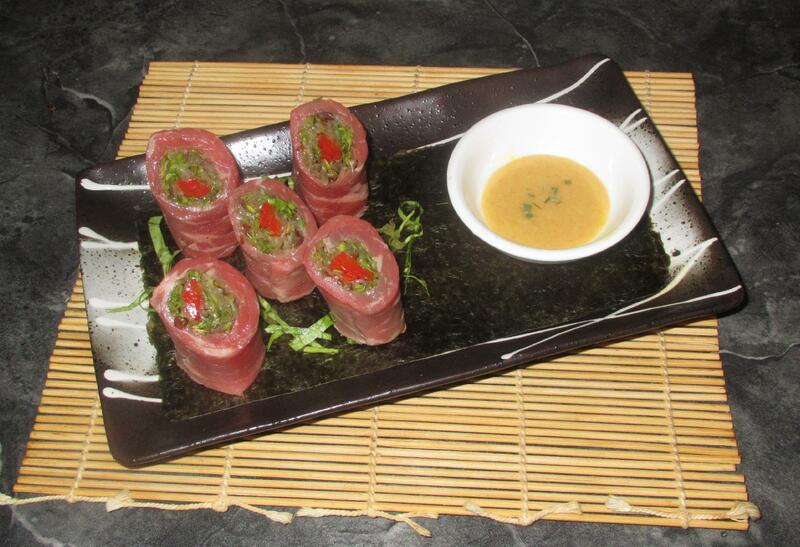 For a little color and additional flavor, I am including some strips of red bell pepper in the center of the rolls. To prepare them, I heated a little oil to the smoking point and then quickly flash-fried the strips just to the point that the surfaces began to blister and speckle with brown spots. 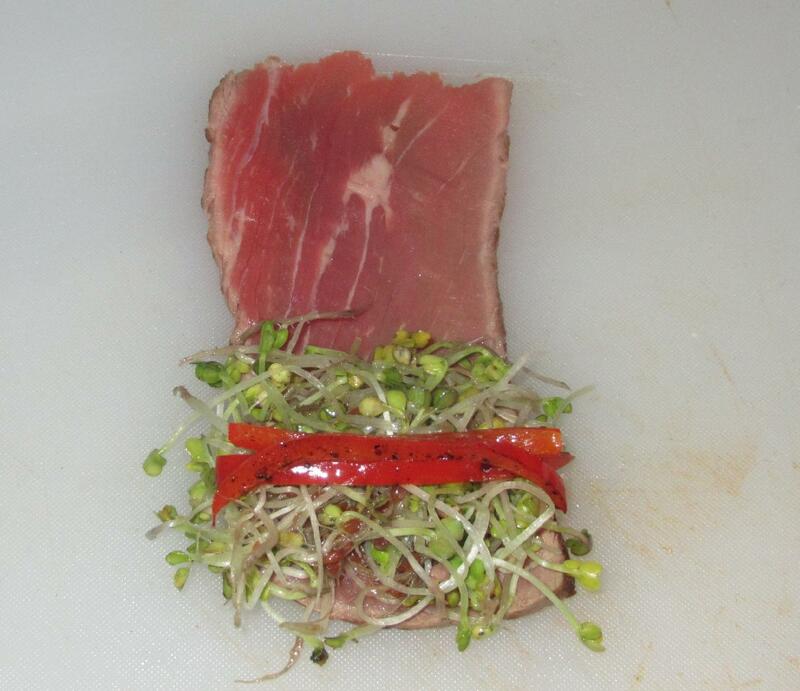 I used some of the thinnest strips obtained from my Tataki. I used 5 pieces, each about 5 x 2.5 x .25 inches or so, and pressed them with the flat side of a knife blade to flatten. 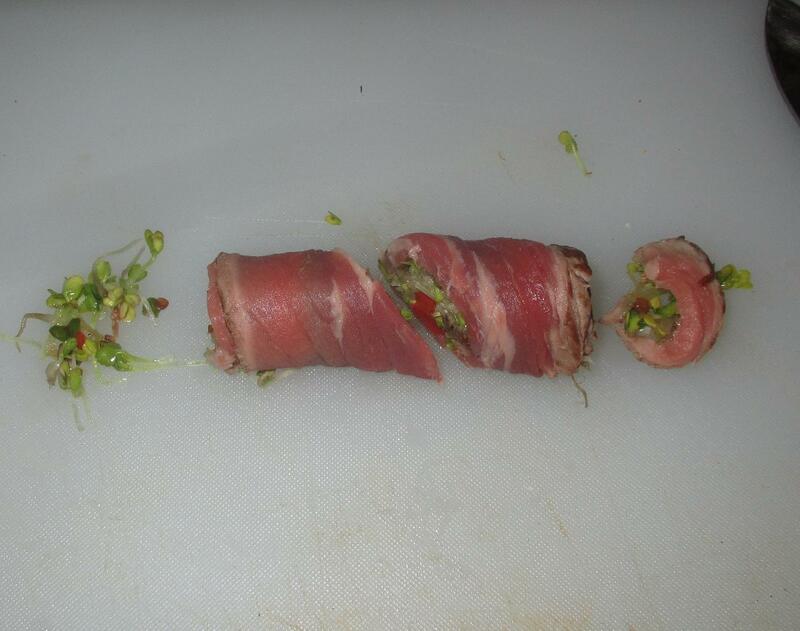 On each piece, I placed some sprouts and 3 or 4 strips of pepper and then rolled it up tightly Makizushi style. Afterwards, I trimmed the edges and then cut each roll obliquely across the center so that two pieces with angled surfaces result. All sorts of dipping sauces would work nicely here. I made mine using a little hot English Mustard powder, garlic paste, sugar and vinegar, but a Wasabi based equivalent would be suitable also. The result here was quite attractive, I thought, and my wife and I enjoyed it very much. I am sure I will be asked to make these again and in future attempts I may play around with the ingredients slightly and maybe incorporate some pickled daikon as well. Only knew if these cooked. Great colors! Being a fan of steak tartare, I can say this dish is one I may have to try! Love, love, love the way these look and sound. 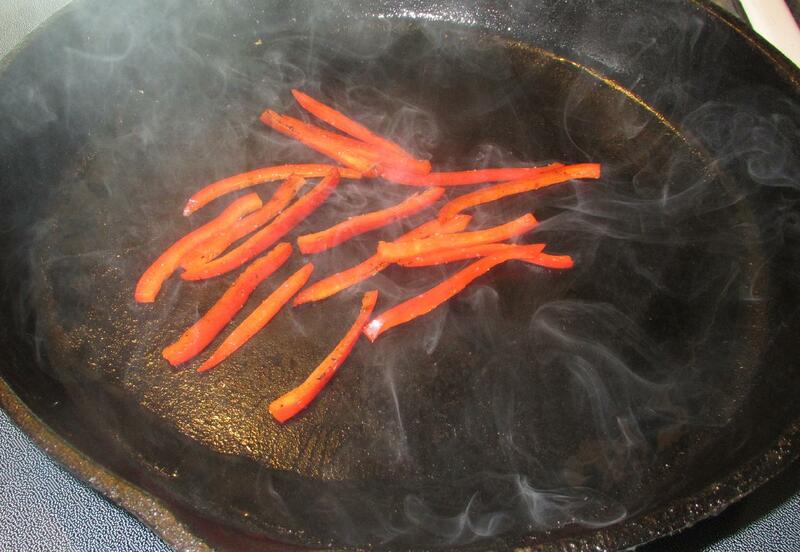 I’ve done them with scallion and asparagus but will have to try with red pepper and your dipping sauce! Asparagus is a great idea for this… Thanks for the idea! I’m sure my wife will when I do try this …. she is the real asparagus lover here and she loves raw and rare beef too.